Product #2754 | SKU SACL5B | 0.0 (no ratings yet) Thanks for your rating! 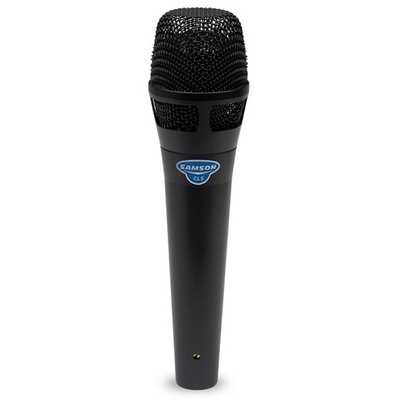 The Samson CL5 Handheld Microphone delivers the clarity and response of a studio microphone to presentations, speech and performance applications, public address, etc. Its supercardioid polar pattern features superb rejection of off-axis noise and feedback from nearby monitor speakers, instruments and other sound sources. The CL5 is powered with 48V phantom and the gold-sputtered capsule ensures optimum performance, high SPL handling and pristine clarity. The supercardioid polar pattern provides maximum rejection of off-axis noise and feedback. The condenser element is powered via 48V phantom power and provides high SPL handling. The rugged enclosure features internal shock-mounting and robust construction for withstanding rigorous use.